Windows 10 1803 ISO download links are now available. The new Windows 10 Spring Creators update also known as Redstone 4 is now available for Fast Ring Insiders. This build will roll out to everyone as a final release on April 10. The new Windows 10 version 1803 comes with lots of new features including new Timeline feature, updated Fluent Design, Near Share feature, Edge improvements and much more. Check out some key highlights of Windows 10 Spring Creators Update. Settings now feature a new redesign with Reveal effects and Acrylic blur. 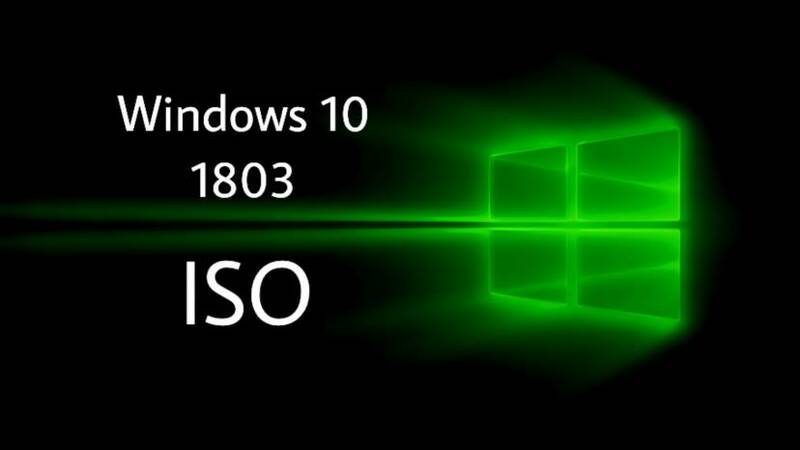 The new Windows 10 1803 ISO comes with all Windows 10 editions including Home, Pro, Cloud, Enterprise, and Education Editions. Download the ISO files from the link below. Also read, How to create bootable USB drive with Insider build ISO files and How to install Windows 10 with a USB stick. Hello! I know this is somewhat off topic but I was wondering which blog platform are you using for this site? I’m getting fed up of WordPress because I’ve had problems with hackers and I’m looking at options for another platform. I would be fantastic if you could point me in the direction of a good platform. I love what you guys tend to be up too. Such clever work and reporting! Keep up the superb works guys I’ve incorporated you guys to my blogroll. There is certainly a great deal to know about this subject. I like all the points you have made. Hello mates, nice article and fastidious arguments commented at this place, I am in fact enjoying by these. Hello there! This blog post could not be written much better! Looking through this post reminds me of my previous roommate! He continually kept talking about this. I’ll send this post to him. Pretty sure he will have a great read. I appreciate you for sharing! Howdy I am so grateful I found your web site, I really found you by mistake, while I was searching on Aol for something else, Anyways I am here now and would just like to say thanks for a remarkable post and a all round interesting blog (I also love the theme/design), I don’t have time to read through it all at the moment but I have bookmarked it and also added your RSS feeds, so when I have time I will be back to read a lot more, Please do keep up the excellent job. qolttunzl,Waw! Its really great and wonderful ever i found. Thank you for sharing this info. wkS26c You made some first rate points there. I looked on the internet for the problem and found most individuals will associate with along with your website. pRtohP What web host are you the use of? Can I am getting your affiliate link for your host?